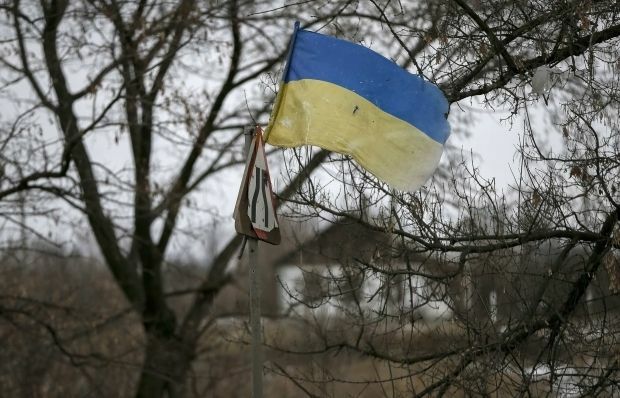 "Since the announcement of the ceasefire on February 15, Ukrainian positions have been fired on over 2,500 times. As a result, more than 100 Ukrainian soldiers have been killed and more than 500 people injured," Groysman said. The ceasefire in fact never took hold, and was seriously violated within days, when Russian-backed militants, ignoring the Minsk peace accords, attacked and captured the Ukrainian-held town of Debaltseve on February 18. There have been daily violations of the supposed ceasefire since then. Groysman also said that the militants, also in violation of the Minsk agreements, were preventing OSCE observers from completing the verification of the withdrawal of large-caliber weapons, and that they were continuing to use such weapons to attack the positions of the Ukrainian armed forces. In addition, Groysman said that the militants did not want to exchange prisoners according to the earlier-agreed "all for all" principle – again in violation of the Minsk accords their leaders signed on February 12. Groysman added that Russia continues to detain a number of Ukrainians, including MP and member of the Parliamentary Assembly of the Council of Europe Nadia Savchenko.